As dose management technology evolves, best practice must keep pace. 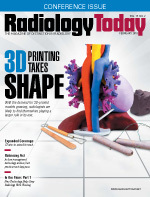 Radiology continually witnesses the introduction of new techniques and technologies. Within this ever-evolving medical specialty, however, there's a constant question: Is enough being done to safeguard patient safety? Specifically, that question involves appropriate levels of radiation exposure—that is, providing the best diagnostic image possible while maintaining magnifying glass-focus on radiation risk. Bolstered by the efforts of organizations such as the ACR, the radiology faction within the medical community has established a mutually beneficial liaison with medical specialists such as physicists, surgeons, and radiologists; industry regulators such as regulatory agencies; equipment vendors; and principals charged with advancing shareable best practices. In more practical terms, this first involves acceptance of the ALARA (as low as reasonably achievable) principle. It's another way of expressing the guiding commandment of "Do No Harm." Second, it involves maintaining the fine balance that comes only when risk is carefully calculated against benefit; the ALARA principle requires the resetting—a continuous revamping, perhaps—of policies and practices related to radiation dose. Such concerns and questions cover a lot of territory because the radiology field has evolved in exponential fashion from the days when a subtle skeletal image was rendered forcefully against a dark background. A microcosmic approach should better allow comprehension of the macroscopic. For example, CT's presence in patient treatment has become overwhelming—if not overriding—especially in emergency and critical care areas. Therefore, medical professionals at every level of engagement realize that while new technological capabilities have enabled production of ever more effective CT scanners, the new equipment iterations have increased the concern that no dose-related mistakes can be tolerated. Kalpana M. Kanal, PhD, a medical physicist, professor, and section chief in diagnostic physics in the department of radiology at the University of Washington School of Medicine-Seattle, observes that the latest scanners are equipped with the capability of a dose checking mechanism. "It helps users to best determine if dose is appropriate, given the current level and typicality of the protocol," she says. "Recently designed scanners come with the safeguards in place." Kanal is essentially describing a new tool that addresses the issue in hands-on fashion—a tool that will help engender new best practices, protocols, and a shift in attitude that requires the gentle handling of a delicate balance, ie, risk vs benefit. Taking her assessment a step farther, Kanal describes another tool that is not so technically focused but, at the same time, is technically dependent. It involves new directions in data management that could provide answers to the questions most difficult to answer. It involves a refinement: a nuanced optimization of available data. These data have been available—easily accessible, relatively speaking—and waiting only for the prescient to tap into their well. In a paper published in Radiology in July 2017, Kanal and her coauthors analyzed patient data to develop a new measure of radiation dose. Specifically, data from ACR's CT Dose Index Registry enabled Kanal and her fellow researchers to come up with more revealing size-based diagnostic reference levels (DRLs). The "10 adult CT examinations" mentioned in the paper refer to the 10 most common adult CT examinations. A more detailed comparison of patient doses with national benchmarks means a more effectively optimized CT protocol for a wide range of patients' physical sizes. It's clear why the researchers approached an ongoing question from this direction: As observed in clinical practice, DRL usage demonstrates reduction of overall dose and range of dose. "In this analysis, we looked not only at DRL but also at the CT dose for adult patients," Kanal explains. The analysis resulted in what could soon be considered the optimal, achievable, most reliable doses for CT exams. The study was monumental, a descriptive that can be applied to both size—the researchers included more than three million exams—and impact—the study represents a first-of-its-kind research effort. "We were working without any guidelines, as none had been established in the United States related to this kind of analysis," Kanal says. That the researchers came up with new DRLs related to CT scans is important. "CT scans are among the top imaging exams, and they are used by the most sites in the United States," Kanal says. One of the major take-home points that the redesigned usage of DRL data in the study revealed is that imaging examination radiation exposure in the United States adult population, in general, is not significantly higher than exposures recorded in other countries. That conclusion presents noticeable implications. For one, the study results indicate a comparison capability that will add to the well of available knowledge. Facilities now have data to better focus when it comes to making a comparison between their patient doses and the national benchmarks. New information also clearly delineates dose requirements related to patient size, which brings up a bedeviling question: Are acceptable dose levels the same for adults and pediatric patients? After all, the development of equipment and its parameters were defaulted to adult measurements. The coauthors indicate in their report that we now have data that better inform the age-considered approach moving forward. It would be interesting to see how medical professionals in the future look back at this study—as the question of risk will certainly be ever present. Most likely, the strength of collected data, through current tools such as dose index registries, will be viewed as a potential advantage that was recognized, seized upon, and leveraged. Meanwhile, in 2018, medical professionals need to focus on smoothing the surface of the dose landscape to foster development of readily deployable tools. Collaboration is requisite to smoothing that path. It has been suggested that this requires a four-pronged strategy wherein the combined concerns about dosage need to be flanked by the medical industry, government-sanctioned agencies, professional organizations, and medical professionals. One professional organization, the American Association of Physicists in Medicine, has a working group, the Alliance for Quality Computed Tomography, that has standardized many protocols and whose expertise is applied toward safety. There is also the American Society of Radiologic Technologists (ASRT), ACR, and FDA, among others. In addition, CT product manufacturers, including GE Healthcare, Hitachi Medical Systems, Samsung NeuroLogica, Philips, Siemens Healthineers, and Canon Medical Systems, have been involved in dose reduction efforts. To further the conversation, there needs to be a discussion about what is currently in place. "For one thing, CT protocol reviews are done on an annual basis," Kanal says. "These protocols need to be regularly reviewed among medical physicists, radiologists, technologists, hospital administrators, and manufacturers." Kanal adds that beneath that somewhat dogmatic situational assessment, much more needs to be considered. "I am a medical physicist, and before I make any recommendations about dose and its reduction, I need to fully understand what the radiologist needs," she says. "This gets into level of radiation dose and how the question of more or less dose affects image quality." As a medical physicist, Kanal, like other such accredited colleagues, possesses the specific and specialized education and clinical training related to radiation dose and exposure, including how the safest, most effective, and most appropriate application can be accomplished. Those are high-level concerns, but Kanal understands the needs of those who work at ground level. "A CT technologist actually does the scan and is fully involved in the process," she observes. "They work closely with the radiologist, and they are fully invested in making sure that the radiologist gets what is needed. From there, the radiologist needs to determine if the dose level is appropriate. So, what we are looking at is the entire process, and everyone involved in that process." When looking at the future, two elements appear evident: established protocols might need some fine tuning and there needs to be increased development of tools that will be embedded in new technology. Kanal addresses both elements. "As far as protocols, much has been suggested and advanced in the past three years," she says. "You're seeing much more detailed protocols that are site based, and you're [also] seeing products such as the GE-created DoseWatch [a web-based dose monitoring software product]." Greg Morrison, MA, RT-R, CNMT, CAE, associate executive director of ASRT and a member of the Image Wisely initiative, agrees that continuing collaboration is necessary. For example, he cites cooperation between technology users, medical physicists, and manufacturers as the driving force that resulted in size-specific dose measurements being incorporated into the design of new CT technology. "Continuation of these relationships is very important," Morrison says. "There's an open communication between the end-user group and the manufacturing community. A dialogue opens the door to determining what works best and to grasping how the different types of imaging exams come into play." Morrison describes how such a dialogue initiated new recommendations: "It began with recent recommendations from the FDA." That information was then translated by medical physicists into data that were understandable for users and manufacturers. "A machine that may have been initially designed for an adult population now proves applicable for the pediatric population," Morrison says. "For that to have happened, it required an understanding about how to make the appropriate technological adjustments to make it work as effectively with the pediatric patient, especially the smallest child." The dose management issue is complicated, however, by bottom-line issues, something that cannot be escaped in 2018 and, no doubt, in subsequent years. "What about the facilities that don't have the financial and IT resources? We need to determine how they will be able to best monitor dose," Kanal says. "That's a critical area that needs another focused analysis." She suggests that such an analysis could have a significant result. "It might entail the creation of simpler and less expensive tools to make all sites capable of effectively monitoring dose and then implementing the appropriate safeguards," she says. This is another area where collaboration could have significant impact. "The issue of best practice has focused on the risk of radiation dose, and that is understandable, as the term 'radiation' frightens the public. But, in this discussion, we can't forget about the benefits," Kanal says. "I feel that is a point that needs to be reemphasized." No conversation about risk can ignore benefit, Kanal says. "There's a balance here that needs to be achieved. Let's talk about dose. But let's not forget about the benefits. We are trying to determine exactly what is wrong inside the patient. Radiologic imaging helps. It helps point to an effective treatment. It can help spare a patient from unnecessary surgery," she says. To illustrate her point, Kanal equates a radiologic image with a narrative. "It's the story about the patient," she says. As it is with the best of stories, we learn from it. "For medical professionals, that means we can make a diagnosis, and that can have an enormous impact on long-term benefits," Kanal says.